Boasting amazing power, and great technology it is no mistake that the Land Rover Range Rover, Land Rover Range Rover Sport, and Land Rover Range Rover Evoque are amazingly popular SUVs. We at Land Rover Annapolis know drivers want what they want and we have a great inventory of the new black Land Rover Rage Rover. A stunning design with power capable of getting 510 hp and 461 lb-ft of torque, a new Land Rover Range Rover may just be the SUV you need. A new black Land Rover Range Rover can do all the off-roading you need. 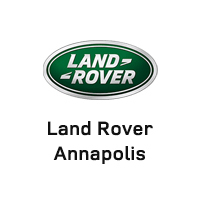 It is one of the most sophisticated SUVs available and we at Land Rover Annapolis will do what it takes to get you into one today! Check out the history of the Land Rover Range Rover then stop by and let us help you get into one today!